Intermittent Thoughts: Dihydrotestosterone (DHT) - Bigger, Stronger, Faster or just Balder, Fatter and Unhealthier? Image 1: The ancient Greek ideal of the male body has probably more to do with DHT than the freaky physiques of today's IFBB Pro bodybuilders. I guess after the revelations about the importance of estrogen in the process of skeletal muscle hypertrophy in the last installment of the Intermittent Thoughts you will probably be eager to hear what its male counterpart dihydrotestosterone (DHT), is able to do... 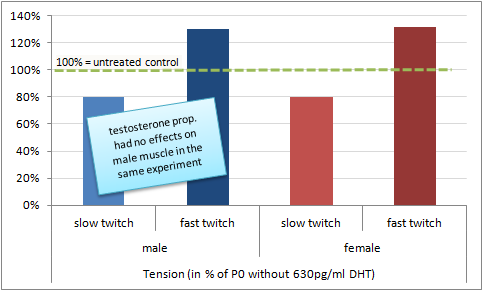 I mean, with DHT being the male hormone par excellence it is only reasonable to assume that its effects on skeletal muscle mass and strength, two characteristic features of the male persuasion, must be significant, right? Before we are going to address this vitally important questions, let's briefly take a look at what the dihydrotestosterone actually is. Illustration 1: (1) Testosterone (either preformed or locally formed from DHEA) arrives at the target tissue, (2) is reduced to DHT by one out of three locally expressed reductase enzymes and (3) either acts intracrine, i.e. right inside the cell, where it was formed or is released into circulation. I do not want to lose myself in too many details at this point, but a rough grasp of the local reduction of testosterone and the subsequent intracrine (meaning right where the hormone is created, cf. illustration 1) effects of DHT is of paramount importance to understand some of the initially counter-intuitive effects of DHT, you are going to read about in the following paragraphs. "DHT makes you strong bro!" - correct! At least for those of you who have been on some of the bulletin boards, where people discuss the effects of various androgenic compounds, the first statements that pop into your mind, when you hear the three letters D, H and T, could be "brutal strength gains", "hit new personal records on each lift" or "doubled my bench within 2 weeks". And although I suppose that statements such as the latter lack any empirical basis, the broscientitific evidence that DHT and DHT-like designer steroids exert profound effects on muscle strength cannot be denied. In this context, the results of a 2010 study from the Biomedical and Clinical Sciences Research Institute at the School of Medicine, Health Policy and Practice of the University of East Anglia in Norwich, UK, is of particular significance (Hamdi. 2010). Using isolated extensor digitorum longus (EDL, a mainly fast twitch muscle in adult mice) and extensor digitorum longus (EDL, a mainly fast twitch muscle in adult mice) muscles from male and female mice, M.M. Hamdi and G. Mutungi established that the strength promoting effects of DHT are mediated mainly via the ERK, i.e. the extracellular signal-regulating kinase (also known as MAPK), pathway and thusly in a non-androgen receptor mediated way. As the data in figure 1 goes to show, incubation of isolated rat myofibers with 630pg/ml androstanolone (17β-hydroxy-5α-androstan-3-one, DHT) increased the isometric force (P0 = 100%) of the fast twitch muscle fibers in the EDL from both male and female mice by ~30%. If we take a look at the SuppVersity's Motto "Where Bro- and Pro-Science Meet in the Spirit of True Wisdom", this is thusly one of the (as of late rare) occasions, where bro- and pro-science actually "meet", not "clash", in the "Spirit of True Wisdom". In that, it is not really important that you understand all the intermediate steps which eventually lead to the increase in force production. What is important though is the hypothesis that the changes, you are seeing in figure 2 are not mediated via the androgen receptor, which were equally distributed in both the slow- and fast-twitch fibers in the study at hand - this is particularly noteworthy, because after all DHT is the androgen per se. The experiments also revealed that, despite the increase in p-ERK-1/2 in the slow-twitch muscle fibers, testosterone treatment did not induce similar changes in myosin light chain content like DHT. In view of the fact that the scientists have used female DGL and soleus muscle fibers for this experiment to minimize the local reduction of DHT to testosterone and isolate the effects of DHT, it should also be stated that the last-mentioned effects on slow-twitch fiber ERK-1/2 phosphorylation may well be a downstream effect of the aromatization of testosterone to estrogen (cf. 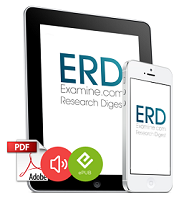 "Estrogen: Friend or Foe of Skeletal Muscle Hypertrophy"). Against that background it is actually quite astonishing that a series of rodent studies which were conducted by scientists from Japan (Aizawa. 2010; 2011) found statistically significant increases in intra-muscular DHT in response to an endurance type of exercise. If you add to that the results of a 2008 human study by Hawkins et al. (Hawkins. 2008), which found a similar increase in systemic DHT (and SHBG) levels in 102 sedentary men (ages 40-75 yr) who were randomly assigned to a 12-month aerobic exercise intervention, while DHT levels did not budge in a 2008 study by Vingren et al. (Vingren. 2008), which used a resistance training protocol, this raises the question whether our current understanding of the strength promoting intracrine effects of DHT is not only part of a larger picture, which would be characterized by distinct intra-, auto-, para- and endocrine effects of DHT on skeletal muscle and other exercise related physiological functions. The litmus test: Does DHT "build muscle"? Now, if you take a look at these examples and compare that to what you know about the muscle-building effects of testosterone, it should be obvious why most "chemical athletes" (i.e. steroid users) take 5-ar inhibitors like finasteride when they are "on" high doses of testosterone. Since the latter will reduce the circulating levels of DHT by "only" 50% this practice allows them to keep any unwanted DHT-related androgenic side effects (which are going to occur when you reach supra-physiological DHT levels) at bay, while still having enough 5-alpha reductase activity to benefit from the highly appreciated effects on muscle strength. Note: Contrary to finasteride, which is highly selective for the type II isoform of the 5-ar enzyme, dustasteride, which has been found to reduce circulating DHT levels by >90% is a pan-5-ar inhibitor. It is thusly no wonder that 0.5mg/day of dustasteride prevented the increase in lean mass in female-to-male transsexuals who were treated with 1,000mg testosterone-undeconate for 54 weeks (Meriggiola. 2008). Although testosterone and not DHT appears to be the major hormonal driving force of actual increases in muscular size (not strength! 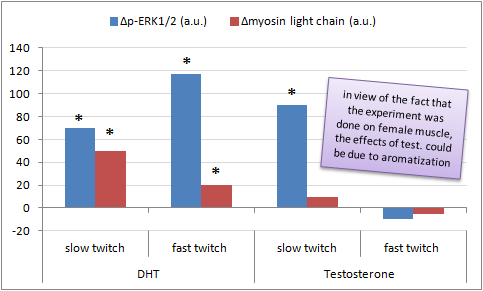 ), the results of the Meriggiola study, where the total (>90%) blockade of all three of the 5-ar isoforms by dustasteride (see red box, above) inhibited the muscle-building effects of 1,000mg testosterone-undeconate clearly suggest that the reduction of at least small amounts of testosterone to dihydrotestosterone is a necessary prerequisite for the testosterone-induced increases in lean muscle mass. Whether a critical threshold as for circulating DHT levels exists, or whether it was the dustasteride induced blockade of the local reduction of testosterone to DHT by 5-ar type III right in the skeletal muscle that was responsible for this effect will yet have to be established in future studies. High serum DHT = lower chance of alopecia! High local 5-ar = hair loss, though. Image 2: Is your hair line receding? Could be DHT, but local not systemic! In young men high DHT levels correlate with full hair, in older men the local increase in 5-ar or the and the reduction in SHBG can elevate DHT beyond a healthy threshold. Now muscle is obviously not the only thing you want... and when it comes to DHT, hair, respectively the loss of the latter, obviously is the first thing that comes to mind. Notwithstanding that it is an established fact that bathing your hair follicles in excess amounts of dihydrotestosterone will eventually kill them, you may be surprised to hear that a 1992 paper by Knussmann et al. (Knussmann. 1992) showed that contrary to common believe the correlation between allopecia and serum DHT levels in the 110 healthy young men in their study is a negative one (r = -.25, p < 0.01). Yet although the same is true for total testosterone (r = -.25, p < 0.01), the correlation between the ratio of free / total testosterone (T_free/T_total) is positive and statistical significant (r = .02; p < 0.05)! The overall increase in both aromatization and 5-a reduction with age, as well as the tissue specific expression of those enzymes thusly explains why your men begin losing their hair, as they get older although their total androgen levels begin to decline. A similar pattern, i.e. decreased SHBG levels and consequently increases in local 5-a reduction are implicated in female androgenic alopecia, as well (De Villez. 1986). Note: If you want to judge your serum DHT levels by your body hair, the most prudent way to do so would be look at your legs. While the correlation (r = .16) Knussmann et al. found for DHT, alone, was not statistically significant, it was still the best indicator for "high" DHT levels. If testosterone helps you to lean out, will DHT make you fat? To answer that I want to go back to the study, I presented in Friday's SuppVersity post on how eccentric training is able to recruit mesenchymal stem cells for muscular repair / hypertrophy. From either this post or the discussion of the underlying mechanisms by which testosterone works its muscle building, fat burning magic (cf. "Understanding the Big T"), you should remember that those pluripotent stem cells are unfortunately capable of becoming fat cells, as well. Luckily, dihydrotestosterone, the "big brother" of the "big T" shares testosterones anti-differential effect on pre-adipocytes (Singh. 2003). Unfortunately, though, DHT does not prevent their proliferation (i.e. the generation of new pre-adipocytes; cf. Gupta. 2008). Instead, gene assays suggest that it stimulates all aspects of adipocyte metabolism, i.e. the beneficial ones like glycolosis (helps blood sugar management) and lipolysis (helps getting the fat out of the adipose tissue) and not (generally) beneficial ones as the production of fatty acids and triacylglyceroles, cell proliferation and differentiation (Bolduc. 2004). Whether there is an overall negative effect of "normal" DHT levels on visceral fat, as it is sometimes suggested (esp. in the "lay press" = Internet ;-) appears however questionable. After all, Vandenput et al. (Vandenput. 2007) have shown that not DHT, but rather androstane-3 α,17-β-diol-17-glucuronide (17G), one of its metabolites correlates with visceral adiposity in healthy young men (r = 0.16; p < 0.05). Serum DHT levels, on the other hand, showed the strongest negative correlation with total body fat, total body fat (% total mass), arm fat, leg fat and trunk fat of all three measured androgens (cf. figure 3) and was a close second to total testosterone as far as its negative, i.e. 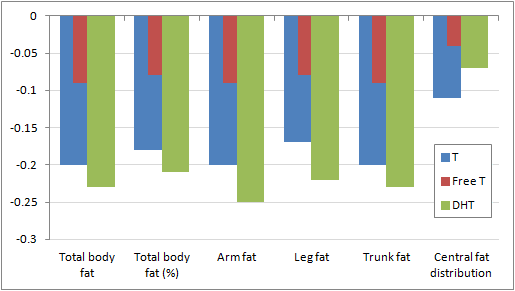 diminishing, effects on central fat distribution is concerned (r = -0.07; p <0.05). Note: In view of the fact that, as of late, leptin has become a focus of attention even for the average person trying to lose weight, it might be of interest that there were statistically significant negative correlations (r = -0.23 and r = -0.25; young vs. elderly) in both study groups. Interestingly, things look somewhat different for the 1001 elderly study participants. The pattern that emerges here should remind you of the previously discussed allopecia issue. While there are still negative correlations for the total and relative amount of body fat in all compartments for serum DHT, there is a statistically yet not significant positive correlation between free testosterone and the central fat distribution in the elderly (mean age 75y) subjects that was not present in their young (mean age 19) counterparts. Moreover, the overall correlation between 17G and central obesity and the 17G/DHT ratio and central obesity raises from 0.08 and 0.20 (p < 0.05) in young men to 0.14 and 0.34 (p < 0.05) in elderly men. Lean, mean, strong... are these "all things male"? If we discard the important role of DHT in the brain, which would explain the "mean" (not necessarily defined as mean in aggressive, but rather as "alpha-male mean") in "lean, mean, strong" and expand "strong" to the established bone-building effects of DHT, which apparently surpass those of testosterone (eg. Capur. 1989), being as muscular as Mr. Olympia obviously is not one of the "things male". As, contrary to some of its synthetic cousins, the current research suggests that the original father of all androgens may be an indispensable bystander, when its precursor testosterone is blowing up your muscles, its immediate effects do yet appear to be restricted to strength and body composition.